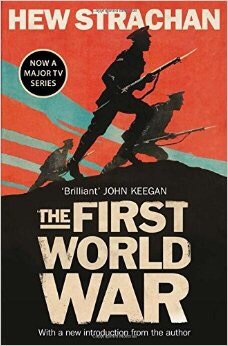 This is a history of the First World War from the perspective of the High Commands. There is little consideration of the experiences of the ordinary soldiers, or of the civilian populations, though the appalling depredations that they experienced in many places are noted. Instead Strachan endeavours to show the war for the world struggle across multiple fronts that it was, rather than confine his consideration to the trenches of the Western Front. As far as these are concerned, he notes, the “horror of the trenches” was much less horrible than the horror of mobile warfare and open battle when the majority of the casualties occurred. Amongst the themes that the book explores is the idea that this was a purposeful war in which the liberalism of the Entente – Britain, France, Russia, and latterly the USA – confronted the conservative militarism of the Central Powers – Germany, Austria-Hungary, and the Ottoman Empire. From this emerged the geo-politics of the Twentieth and now Twenty-First centuries. He also argues that the legend of “lions led by donkeys” regarding the armies, particularly of the British, is unfair. Instead he argues that the generals when confronted with the new challenges of industrialised warfare learned to develop new and effective tactics and operational approaches. And yet – when all is said and done even with Strachan’s cogent survey of the strategy and conduct of the war lords – the First World War continues to leave an impression of a war blundered into by a group of imperial leaders with little concern for the their people. Strachan notes that this perspective grew in popularity in the years after the war. But it was certainly present in some form during the war when the combatant poet Wilfred Owen noted how these “old men” were, content, individually and collectively, to watch “half the seed of Europe” slaughtered “one by one”. Strachan’s erudition means that this book is not one that can be set aside lightly. But it’s sympathy for the high commanders and lack of attention to the plights of the ordinary soldiers and civilians does leave me with a niggling feeling that perhaps, as Dorothy Parker once suggested of another book, it should be flung aside with great force. The real tragedy of WWI was that it led to WWII, which Churchill called “The Unnecessary War”, and the sacrifices for peace which had been made so generously and bravely had to be performed all over again by the next generation. However, although the lesson as to how to avoid war was lost, lessons were learned regarding the experience of the ordinary soldier, at least in the British Army, and thanks to improvements in technology and tactics it was generally better than in WWI though not without its challenges. I seem to be getting a few readers from the US Naval Academy this week. Just wondering why? Is this being shared as an example of how not to write?